And God created the stars and He knows them all by name. What a special gift they are to us. The night sky provides hours of entertainment. We find reclining much better as your neck doesn’t get stiff from leaning to look up. We also find a Planisphere or two indispensable. It is so easy to rotate the top disc to align today’s date with the time at which you want to observe. The Planisphere shows the sky as it will then appear. 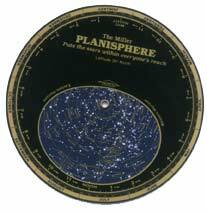 Compare the planisphere to the sky. The center of the map shows the stars directly overhead. 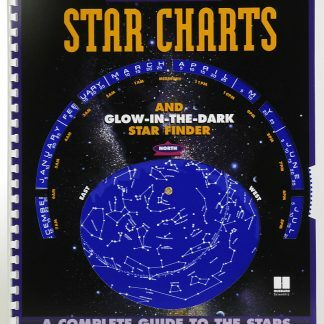 The larger the star’s symbol on the map, the brighter it appears in the sky. We cover our flashlights with red cellophane so as not to ruin our night vision when referring to the Planisphere. It is especially fun to look for constellations during meteor showers – God’s fire works. The Perseid showers are our favorite, occuring mid Aug. each year. The Planispheres we offer you are sturdy plastic and come in a plastic carrying case for protection. We’ve used cardboard ones before, but they get soggy with dew and bent out of shape with handling. So we really appreciate the durability of these plastic ones. They give details on predicting sunrise and sunset, and finding the planets as well. Available in 30 degrees North or 40 degrees North. You can look up your Latitude here.